POEditor has integrated a straightforward notification system, that allows any localization manager's messages to quickly reach the translators involved in the localization process. 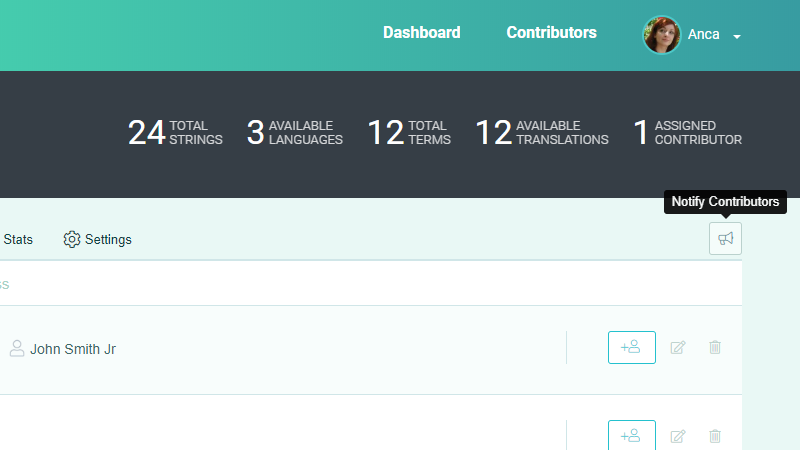 To notify only the contributors assigned to a particular language in the localization project, go to that Language page and click on the Notify button in the right side menu. You can opt to send a default message (a reminder that there is work to be done) or a custom message. The message will will be sent to the email address which the translators used to register to POEditor. In order to send a message to everyone involved in the software translation project, just go to the Project page and click the same button in the side menu. In this case also, you can choose between sending a default message or a custom one. If you want to send individual messages to one of the contributors, you can find their contacts in the Contributors section (look for it in the navigation bar). Contributors blocked in the Contributors page (Block user access to language), do not receive language notifications (and also do not have access to the language from which they're blocked). 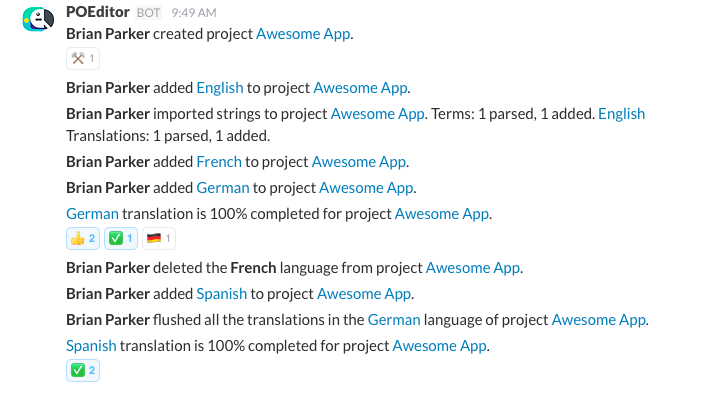 It is also possible to send automated notifications to your project members in real-time in Slack, with which POEditor is integrated. 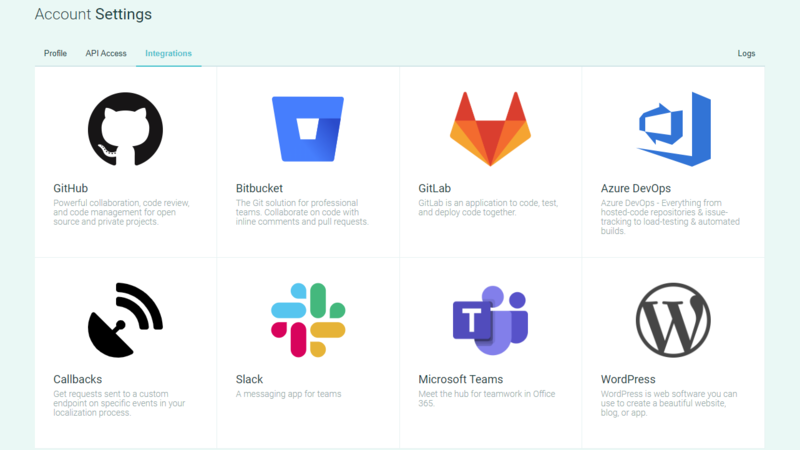 Because all integrations are done on an account level, only the project owner (the user hosting the project) can set up the Slack integration, in order to receive notifications from that specific project.